What a moment to recreate the life of Princess Diana — as we celebrate the birth of the baby who would have been her grandson. Later this month, 16 years after her death in a Paris underpass car smash, a film about her will be premiered in London, called Caught In Flight. 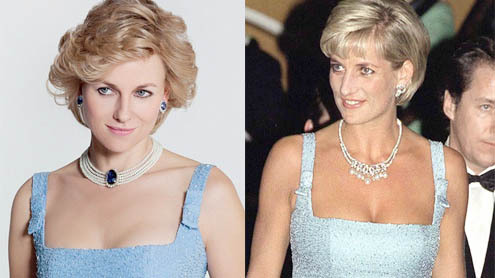 It is about the last two years of her life.Any actress called on to recreate the magic of Diana has a tough job, but the evidence of these pictures shows that Australian actress Naomi Watts has uncannily captured the style and essence of just what made Diana the most famous woman in the world.To focus on such a narrow period of Diana’s life must necessarily exclude so many key elements of her dramatic story.